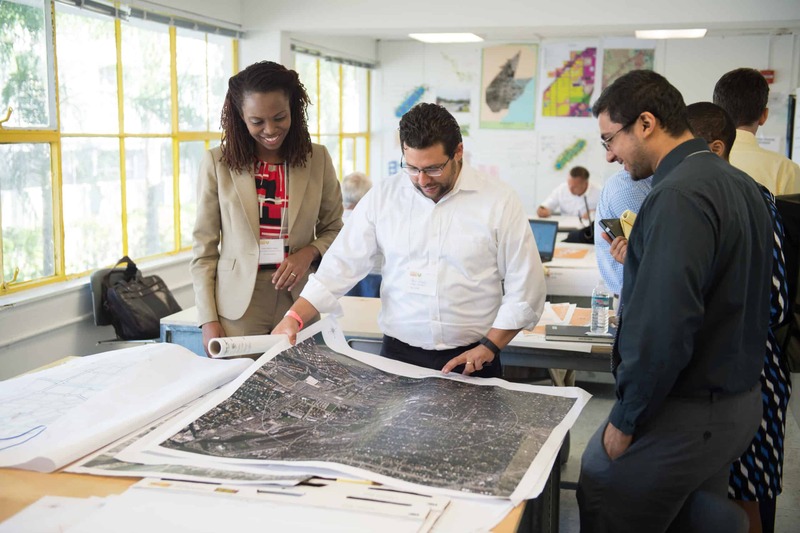 Throughout this event, teams of local academic and public and private sector experts developed designs to serve as models of resilience for communities throughout Southeast Florida. The teams developed full resilient design concepts – complete with drawings, renderings, and briefing presentations. The objective of the design session was to identify physical and planning adaptations necessary to reduce the risk and potential for disruptions, damage, and economic losses associated with climate change while considering the preservation of historic and community character and the prominent integration of natural systems. Consideration was given to short-term (implementable), mid-term and long-term (visionary) solutions. After the event, the designs were shared by the Compact with member communities and elsewhere through the Florida Climate Institute to serve as model resilience approaches for communities facing similar challenges.